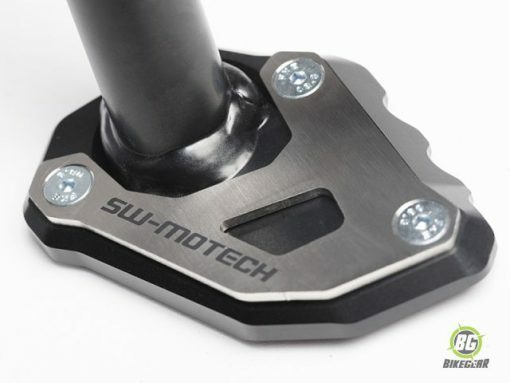 SW-MOTECH Sidestand Foot Enlarger increases the amount of contact to help prevent your bike sinking into soft ground. 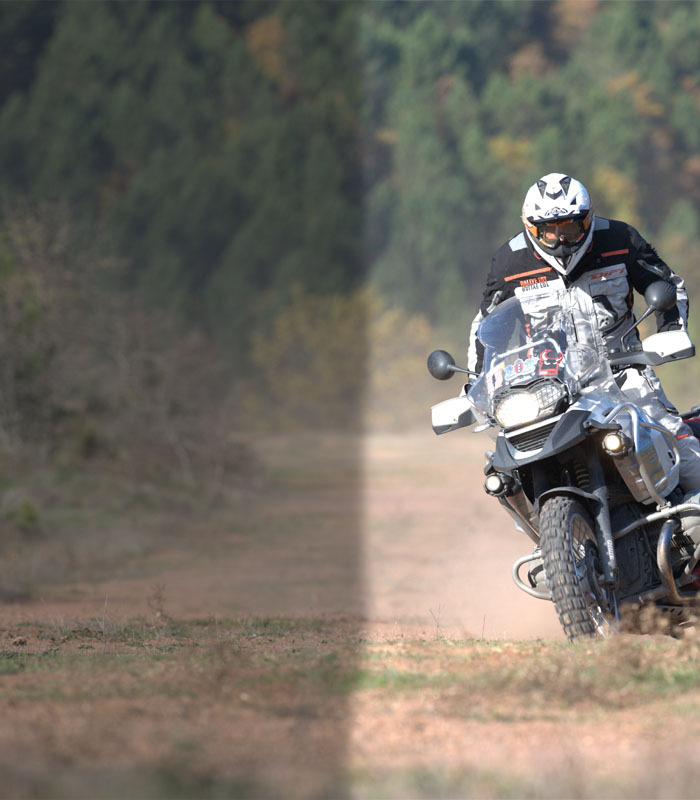 Need a little extra support for your bike? 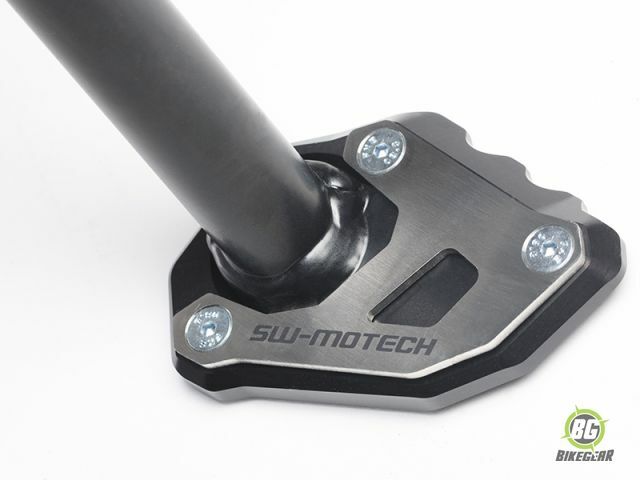 The SW-MOTECH Sidestand Foot Enlarger increases the amount of contact to help prevent your bike sinking into soft ground. The silver anodized foot enlarger is CNC machined from high strength aluminium alloy. The upper mounting sheet is black powder coated.